French Polynesia’s islands sound like paradise. Tahiti is called the Pearl of the Pacific. Mo’orea is known as the Magic Island. Bora Bora is considered the Romantic Island. Huahine is referred to as the Garden Island. Then there’s Mai’ao. It’s been dubbed the Forbidden Island. Mai’ao is one of the Windward Islands. It lies 48 miles southwest of Mo’orea and 50 miles southeast of Tahiti. So it should be just as popular as its neighbors. Few people, at least tourists, know about this 3.4-square-mile island, though. That’s because it banned foreigners nearly 90 years ago. In the 1930s, a shady British businessman tried to swindle the Mai’ao people out of their land. He opened a store, sold modern goods by credit, and then went after their homes as repayment. A cooperative was formed to buy back the land. Their land. So the islanders retreated into self-imposed seclusion. Visitors had to be invited to the island. Few Tahitians have ever set foot on Mai’ao. From the air and the water, Mai’ao looks beautiful. A tall, palm-covered hill sits in the center of the island. A low motu winds around its base. The reef islet is filled with two lagoons (Roto Iti and Roto Rahi) and extensive marshes. Their brackish water cause lots of rainbows to form. 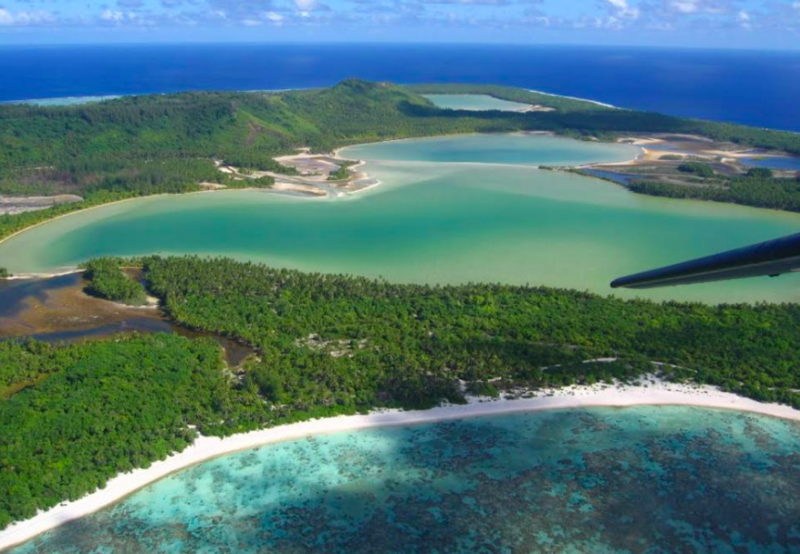 While two narrow channels, one natural and one man-made, flow into the South Pacific. Mai’ao is home to a single village. It’s where most of the island’s 300 people live. They harvest copra, from which coconut oil is extracted, and produce woven pandanus, which is used to make the roofs of luxury resorts on neighboring islands. The island is remote, quiet, and, in many ways, a step back in time. But chartered boats are quietly—with permission, of course—starting to make landfall. Their small groups have been allowed to hike and eat lunch on the island. If you proceed cautiously and respectfully, the island may no longer be forbidden.